When I got out of the dorm room in college I finally found myself with a kitchen. It was a first for me and with the kitchen came the sink and counter space and the need for a coffee pot that would last a long time. This was somewhere around 2001 or so and the internet was still pretty new. 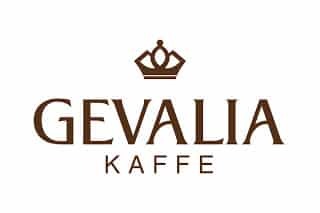 I found an offer online from Gevalia (much like those DVD’s by mail clubs) where they would send me coffee in the mail every so often and charge me automatically. As a sign up bonus they sent me a coffee maker that was supposed to be pretty fancy and expensive. Looking back I can see this was a very simple coffee maker that shouldn’t have cost more than $50 or so but it was my first so it seemed amazing to me. For a long time I never considered changing out my coffee pot. It worked good enough and over the years (I used it a lot too) it seemed to hold up incredibly well. In fact the pot worked just fine until Christmas 2011 when my wife finally bought me a fancy coffee maker to replace the Gevalia pot. Nothing was wrong with it. It just wasn’t fancy and it didn’t serve my tea drinking wife’s needs. In any event. For the past 18 months I’ve grown in my love for good coffee and for knowing more about it. Hence this blog. So the point of all this is to answer the question posed in the title of this post. How long does a coffee maker last? How long should it last? My first pot lasted for 10 years and it could have lasted a lot longer… especially if I had taken the time to keep it well cleaned on the inside too. It was a simple pot with a digital clock display and simple programmable timer. It wasn’t as simple as some really low end machines but it sure didn’t have any bells and whistles either. What it did have however was a totally standard design that is largely unchanged from every other drip coffee machine. The reservoir of water in the back feeds down a tube to the heater coil. The heater heats the water to boiling and then steam and physics bring the super heated water through the next phase of the tube to the shower-head. Typical coffee makers actually have no real moving parts. It’s just a stationary heating element that relies on physics to move water through the machine all the way to your carafe of brewed coffee. Assuming the heating element keeps working, as it should for many years, the coffee machine should work just fine for a decade or more. Usually, if no blunt damage is inflicted on an automatic coffee maker, they will work for many years and the first things to stop working are the electronics that run the digital displays or buttons. Do Expensive Coffee Makers Last Longer? Some really high end machines (regardless of price) just aren’t going to make it that long. Their heating elements will work fine but everything else will be faster to fail because of the additional complexity of electronics. Keurig machines for instance cost more than basic drip machines but they use water pumps to move water from the reservoir to the k-cup and they never last as long as a basic drip machine. Truth be told simple is almost always better in my book. The fewer parts (and the fewer moving parts especially) the longer the machine will last. Bare bones coffee pots are no more than a simple heating element and tubing. Expensive grind-and-brew pots with separate chambers for hot water on demand or for making specialty coffee drinks just complicate the machine. I’m not saying they aren’t worth the money; I’m just saying they aren’t going to last as long no matter how well they are made. If you need a good rule of thumb keep this in mind. A well made basic coffee pot will probably last more than a decade even if you don’t take great care of it. On the other hand the high-end complicated machines are going to be much more sensitive to the quality of construction when it comes to their lifespan and they will be far more sensitive to your regular maintenance. If you don’t care to clean and maintain a fancy machine then don’t expect it to last very long… and if it’s a cheap (but fancy) coffee maker with all the bells and whistles you may not make it long at all without regular maintenance. And even then it’s a bit of a gamble. Rule of thumb I place my bets on a well maintained coffee pot lasting anywhere from 3-10 years on average depending on the simplicity of the design. Simpler designs will last longer.